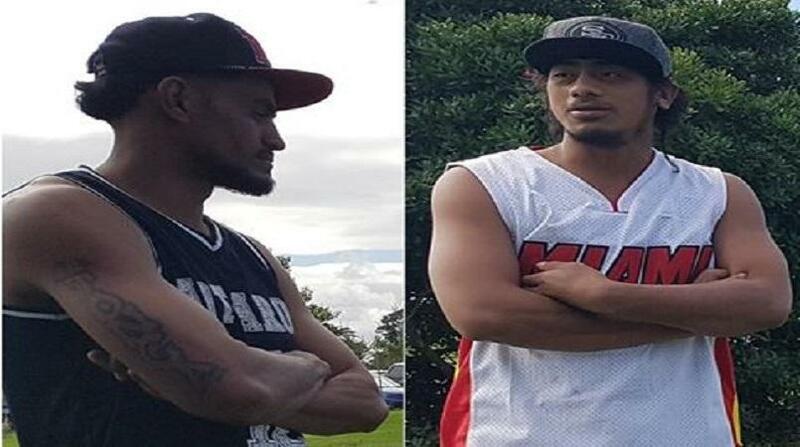 The hunt for two Tongan seasonal workers who absconded from Hastings, New Zealand on Monday ended with a decision that they have to return home straight away. Sitiveni Junior Uasi and Atonio Patua Kulitapa disappeared on Monday night in a vehicle belonging to their employer, Mr Apple. They were found yesterday morning at a home in Manurewa, South Auckland. After a meeting at the Tom Pearce Drive McDonald’s, Auckland Airport, at about 1pm yesterday the duo were told that they have to board the Air New Zealand evening flight to Tonga. The meeting was attended by Mr Apple’s Labour Manager Alistair Jamieson, Tongan government Liaison Officer Sefita Hao’uli, Tongan RSE coordinator in Hawkes Bay Tevita Niulata, four RSE Tongan group leaders, Uasi and Kulitapa. “I regret it. It was a big mistake I made”, Kulitapa told Kaniva News outside McDonald’s. Uasi agreed and said he wished they had another chance. Asked what was the motive for their disappearance, Kulitapa said there was nothing it just because they were drunk. “The opportunity has gone”, he said in Tongan. Group leader Sifa Havili said they found Kulitapa and Uasi without any incidents but they spent almost two days looking for the company’s van. He said the problem was that the duo were unfamiliar with Auckland and they could not recall the location where they left it after the van ran out of cash.